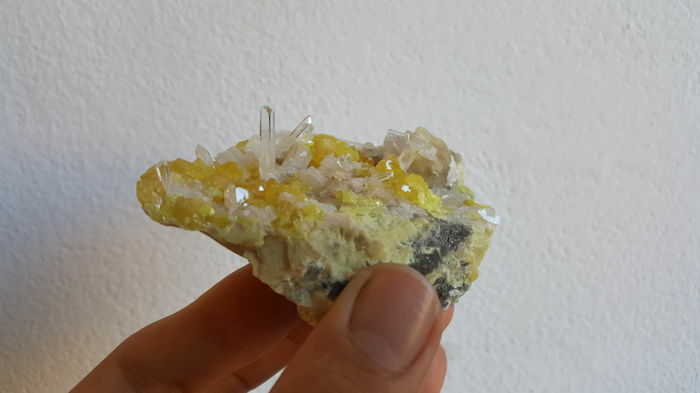 Beautiful and Classic specimen from la grasta, Sicily (Italy). 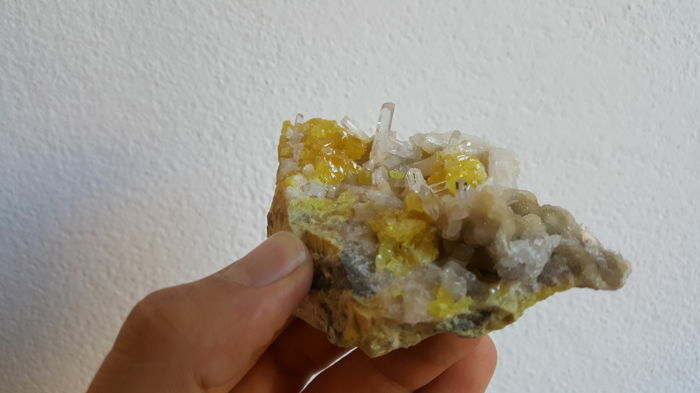 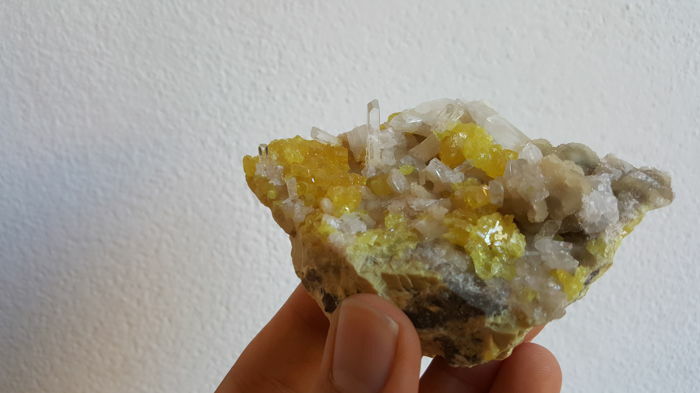 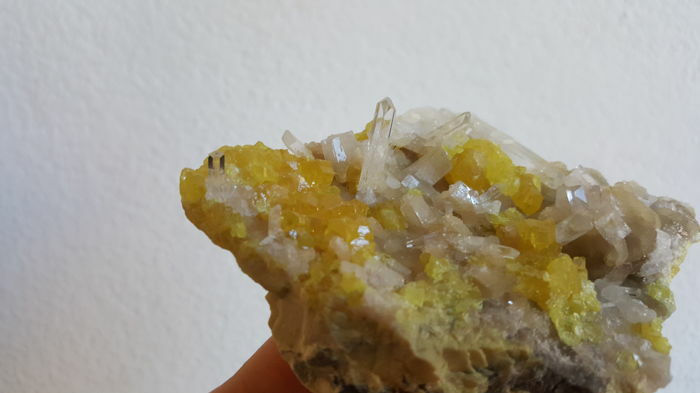 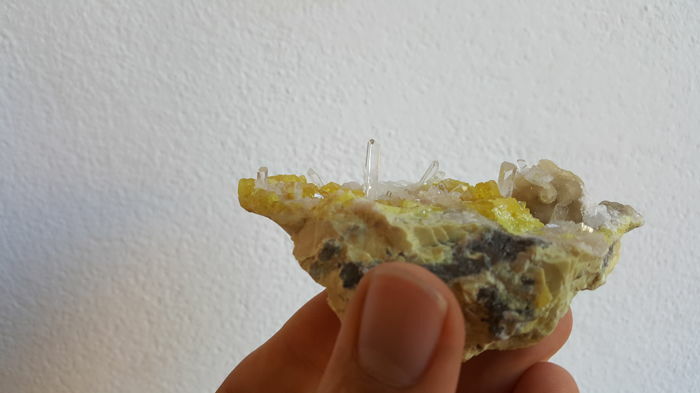 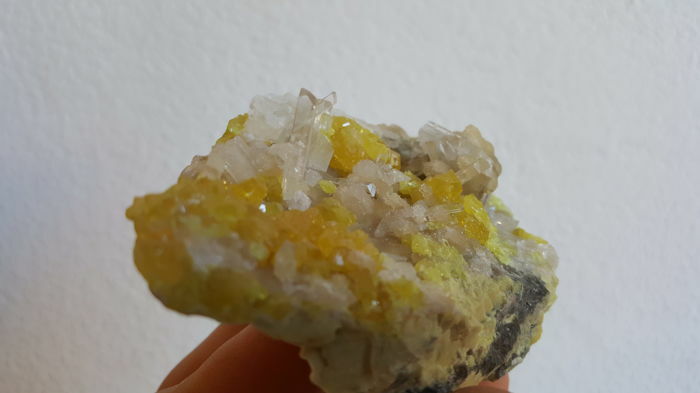 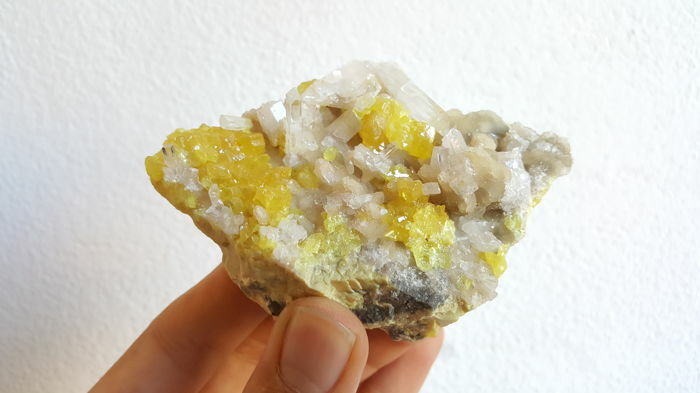 Transparent crystals of Celestine on sulfur. Photos and colors are not been altered.